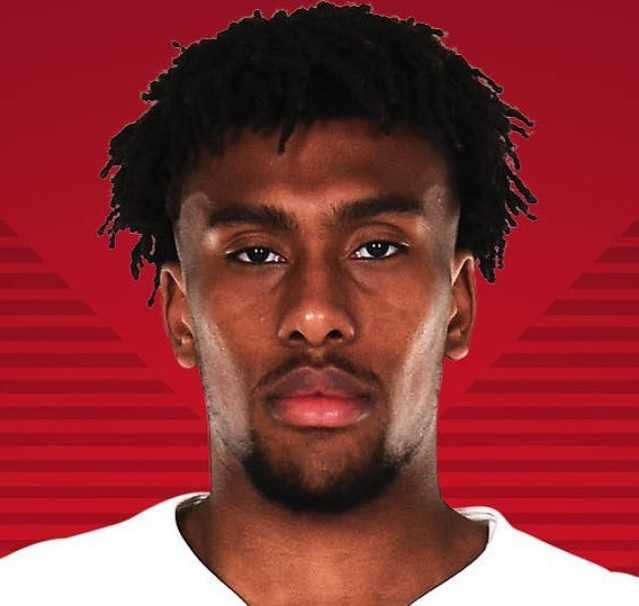 Alexander Chuka Iwobi, popularly known as Alex Iwobi is a professional football player who plays as a forward for Premier League club Arsenal and the Nigeria National Team. Iwobi has scored a total of 10 goals for Arsenal in all competitions and 5 goals for Nigeria on different occasions till now. Alex Iwobi has returned to training after recovering from illness. Iwobi has resumed his training with Arsenal's first-team. the 22-year-old missed Gunners' match against Cardiff due to illness. Gunners won the match 3-2. Iwobi was also excluded from Nigeria's clash against Seychelles in African Nations Cup for the same reason. Iwobi recently posted a picture of himself and some of his teammates in training indicating he is back on his feet. Iwobi might start for Gunners in Premier League fixture against New Castle United on Saturday. Arsenal Manager Unai Emery is as excited as the Super Eagle Star on his return. Iwobi was born on May 3, 1996, in Lagos, Nigeria. Chuba Iwobi is his father. Iwobi has a sister Marie Iwobi. He is the nephew of former professional footballer Jay-Jay Okaocha. Iwobi moved to England at the age of four. Iwobi belongs to Nigerian and English nationality. At present, Iwobi is best mates with former Arsenal teammate Tyrell Robinson. Iwobi started his youth career from Arsenal. He joined Arsenal while he was at primary level. Iwobi was called up for Arsenal senior team for a League Cup match against West Bromwich Albion on September 25, 2013. Iwobi was on the bench but was not substituted in the game. In October 2015, Iwobi signed a long-term contract with Arsenal. Iwobi made his senior team debut for Arsenal on October 27, 2015, against Sheffield Wednesday in the Round of 16 of the League Cup. Arsenal lost by 3-0. Four days later, Iwobi made his Premier League debut against Swansea City at the Liberty Stadium. Iwobi came in as a substitute for Mesut Ozil in stoppage time. Arsenal won the match 3-0. Iwobi made his Champions League debut against Bayern Munich. Iwobi came in as a substitute in the 85th minute. Arsenal lost the game 5-1. Iwobi scored two goals in his first two Premier League starts in wins against Everton and Watford respectively. Iwobi changed his shirt number from 45 to 17 after Chilean Alexis Sanchez took Shirt number 7 vacated by Tomas Rosicky. Iwobi was a vital member of the Team Arsenal when they won 2016-17 FA Cup Final. Arsenal beat Chelsea 2-1. Iwobi also won 2017 Community Shield with Arsenal when they beat Chelsea again on penalties. Iwobi described Arsene Wenger as an inspiration after Arsene Wenger announced exiting Arsenal as a manager. Iwobi also stated that Wenger leaving Arsenal was sad but exciting for a new beginning. Iwobi extended his contract with the club, reportedly until 2023. Initially, Iwobi started for England youth international team. Iwobi won the 2011 Victory Shield. Nigeria selected Iwobi for their 35-man provisional squad for the 2016 Summer Olympics but was left out from the 18-man final squad. Due to injury, Iwobi pulled out of Nigeria's squad for World Cup qualifiers. Iwobi scored only a goal for Nigeria against Zambia in a 1-0 win that secured Super Eagles a spot in the FIFA World Cup 2018 campaign. Iwobi was included in the 23-man squad for Nigeria for FIFA World Cup 2018. Nigeria exited World Cup from the group stage. Iwobi won 2016-17 FA Cup with Arsenal. Iwobi also won 2015 and 2017 FA Community Shield with Arsenal. Iwobi won 2011 Victory Shield with England U16. Iwobi was named CAF Young Player of the Year 2016. Iwobi was named in CAF Team of the Year 2016. Previously, the Super Eagle start was in a relationship with Clarisse Juliette. But their relationship ended in late 2017. After Clarisse, Alex is not open to the public or in social media about his current relationship status. Officially, Iwobi is reported dating no one at present. 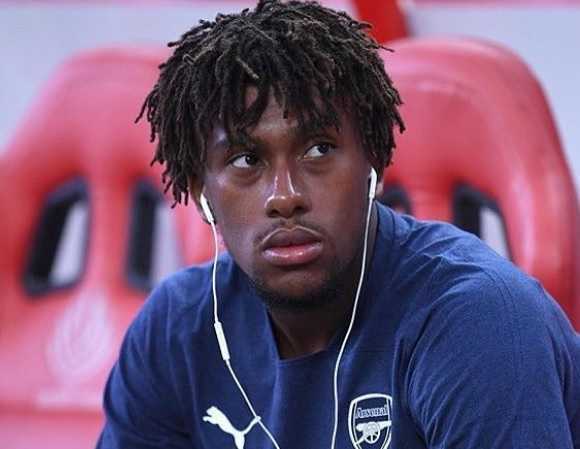 Initially, Iwobi was reportedly paid only 750 pounds a week during his youth career. At present, Iwobi earns 30,000 pound per week which makes 1,560,000 pounds a year. The net worth of Iwobi is estimated to be around $5 million as of 2018. Iwobi was eligible to play for both England and Nigeria. Iwobi played for England as a youth and then chose Nigeria for his senior career. Iwobi won the Victory Shield for England youth team.